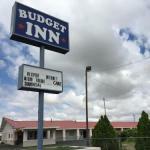 Providing free WiFi Budget Inn is situated in Fort Stockton. This 2-star motel has air-conditioned rooms with a private bathroom. The property provides a 24-hour front desk. The units are fitted with a TV with satellite channels a coffee machine a bath free toiletries and a desk. All units will provide guests with a microwave.